Our restaurant in Downtown Santa Monica is looking for an experienced Maitre d' to join our small, tight-knit restaurant family. This position requires open availability and is best suited for a hospitality professional interested in a stable, long-term opportunity.<br><br>The perfect candidate is a gifted, intelligent communicator with an innate sense of hospitality and the ability to multi-task. Composure at the door and on the phone is critical. Above average skills using Open Table is a critical consideration for this job. <br><br>Our restaurant is established and still at the top of many dining list, primarily due to our detailed attention to our guests and honest passion for hospitality. Recent, verifiable casual fine dining experience is expected; the desire to learn and grow within this industry is even more appreciated. Wine and POS knowledge are helpful, and desire to learn necessary.<br><br>This position involves both day and night shifts. <br><br>Qualified applicant will possess the following traits / skills-<br><br>*Genuine passion for making guests happy and welcome<br>*Natural charm and grace<br>*Above average knowledge of OpenTable, especially Flex Mode<br>*Relevant experience in a similar environment <br>*Clear , warm and concise communication <br>*A flexible schedule<br>*Ability to learn about wine and menu items<br><br>We offer amazing employee discount, cash tips distributed nightly and competitive hourly BOE. 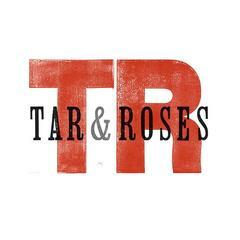 Tar & Roses is posting their hospitality jobs on Harri. See what we’re all about.